October 31st doesn’t have to be a spooky day. If you have children, this celebration centers on their adorable costumes, plentiful candy and, of course, having fun with some good ol’ classics. Here are 8 not-so-scary Halloween movies that the whole clan can watch without hiding behind a pillow. Say boo! For the younger kids, this movie from the 60’s never gets old. Watch Charlie Brown, Snoopy and their friends enjoy apple-picking, trick-or-treating and other seasonal fun stuff with this Halloween classic. This iconic cartoon made its comeback in the big screen in 1995. Casper, the friendly ghost, will melt your heart from beginning to end. Tires of spooky and scary celebrations Jack “The King of Halloween” Skellington, discovers Christmas and tries to turn his macabre town into a Winter Wonderland. 80’s style at its best! Moody teenager Lydia becomes friends with a deceased couple, while a harsh “bio-exorcist” tries to scare her family away. Do you dare to say ‘Beetlejuice’ three times? Who would have thought that a furry little friend is capable to produce such monsters? This iconic movie, while not set in Halloween, will give you the creeps more than once. 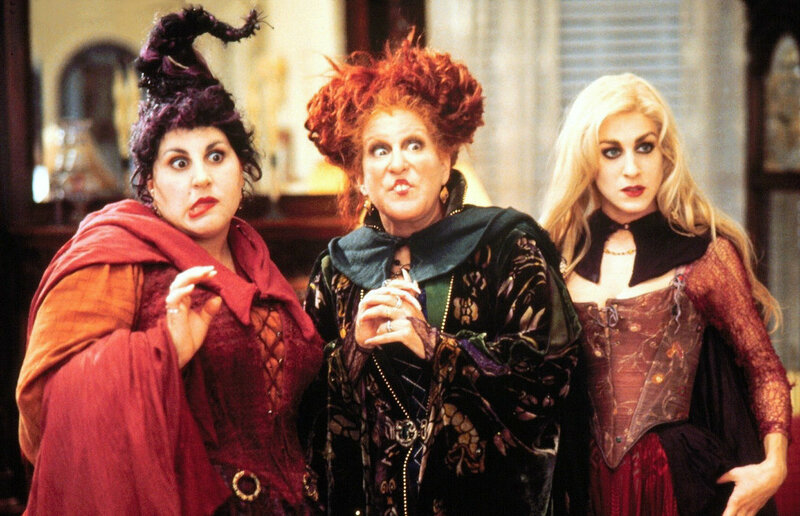 The Sanderson Sisters, three Salem witches, come back from the dead to steal youth from little girls. While the plot sounds intense, you’ll end up laughing all the way. A truly Halloween must-watch! Nothing says Halloween quite like living and breathing in a spooky house with very questionable family members. Aimed at older kids and teenagers, you’ll soon find out that Edward’s creepy looks and shy personality can’t conceal his huge heart.